The Poet Condos is a new condo project by Fieldgate Urban and is currently in pre-construction. The Poet architect is designed by TACT Architecture. 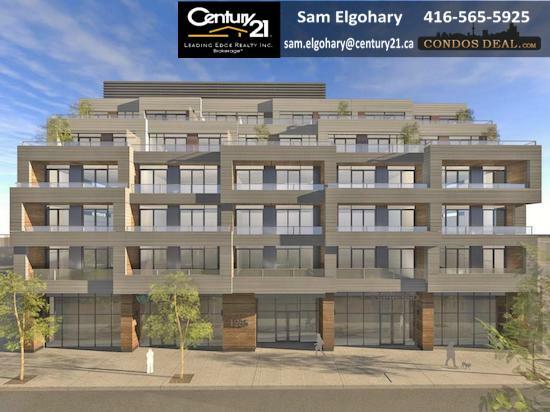 The new project will be located at 1285 Queen Street East in Toronto. The major intersection is Queen Street East and Leslie Street. The Poet Condominiums is the redevelopment of the Beer Store at Queen Street location. The Poet Condos will be 6 storey tower with 72 mixed boutique condo units. Units will be a mix of 18 one bedroom, 30 one bedroom plus den, 12 two bedrooms, 7 two bedrooms plus den and 5 three bedroom. The estimated completion date for The Poet Condos is still unknown. The Poet Condos will feature a terraces and a rooftop amenity of 3,000 SqFt. The building will have underground parking with 41 car parking spaces and 65 bicycle spaces.The building will also feature 8,200 SqFt of retail space on the ground-level. The lobby will be located on the first floor of the building along with 5 townhomes with 2 storeys. Other projects by Fieldgate Urban are like 572 Church Street Condos, United Kingsway Condos and 1200 Dundas Street West Condos. For more information visit: https://www.condosdeal.com/the-poet-condos-in-leslieville/?